For the first time, ours didn't come from a jar. I never was too worried about it- if everyone feared the process so much, it must be easier to just buy the jar- right? Well.... wrong. When our turkey was all said and done, we threw the juices into a bowl (I forgot my fat separator at home- blast!) and skimmed off most of the fat. We checked out some gravy recipes, and came across a way of making it that I think was fun, and rather simple. 1.) 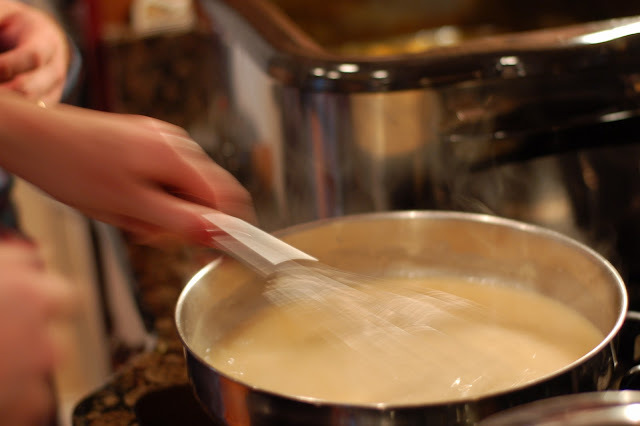 Add 3-4 tablespoons turkey fat to a pan and let it get hot. Add in the flour and pinch of salt and whisk whisk whisk so that it all comes together. 2.) 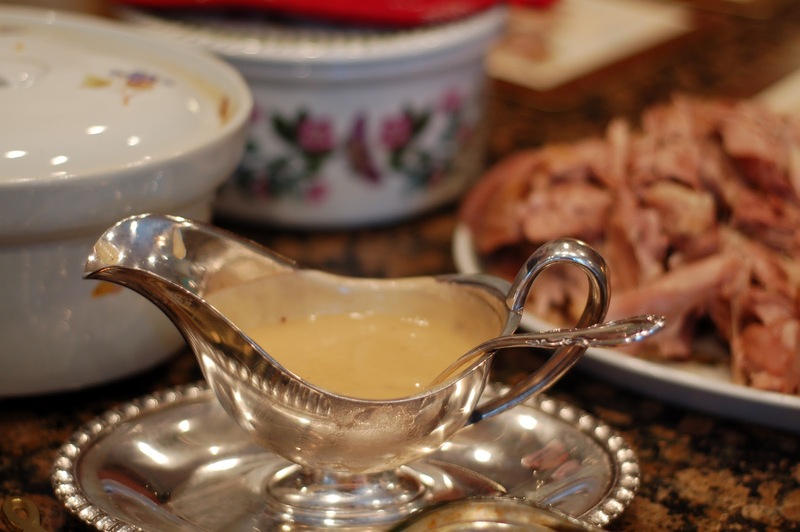 When it's bubbly and smooth, just a minute or two, add in 2 cups of the turkey juices whisking constantly so that it all comes together and really starts looking like gravy. It'll get thick which you want, but if it's too thick add in some broth. You can and should do this right before you're going to eat so it's nice and hot when you put it into your gravy boat. 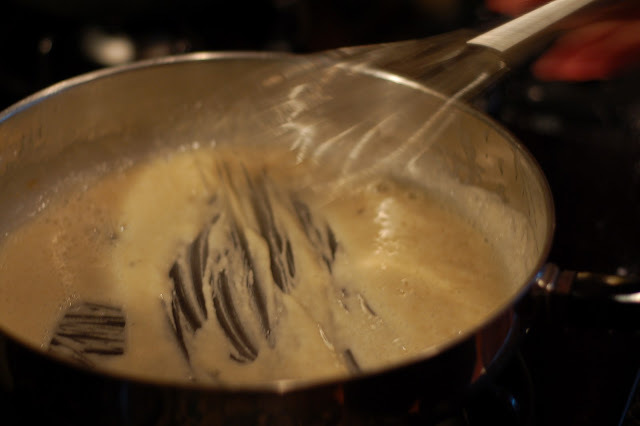 Do you have another simple recipe you like for gravy?! Christmas is coming...do share.